There is little information on Remy Van Lierde’s early life and family. He was considered a hero by the Free Belgian Forces during WWII. When captured by the Germans, he escaped to England through the neutral countries to fight with the RAF. Remy Van Lierde was born on August 14, 1915 in Overboelare, Belgium. At a young age, he became fascinated with aircraft so it was not a great surprise when he joined the Belgian Aviation Militaire Belge at the age of 20. He didn’t start flying when he entered the group but was assigned as an observer so he could better his aviation knowledge. 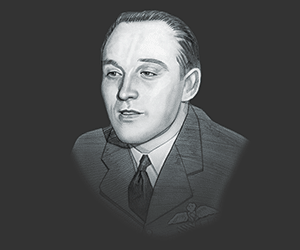 On May 1937, he started pilot training and later qualified to join the 3rd Squadron of the First Aviation Regiment. September 16, 1935 - He joined the Belgian Air Force at the age of 20. May 1, 1937 - He started training as a pilot to be able to qualify as a pilot in a fighter squadron. May 16, 1940 - Remy Van Lierde was shot down while flying a Fairey Fox II biplane. He was wounded and captured by the Germans. July 22, 1941 - He safely reached England after a successful escape. September 5, 1941 - After an interrogation by MI5 at the London Reception Center, he joined the British Royal Air Force Volunteer Reserve. January 6, 1942 - Assigned to RAF No. 609 Squadron following three months training. June 2, 1942 - He destroyed a German Do 217 bomber over Skegness while he was flying a Spitfire Mk Vb. He was then promoted to Flying Officer. January 20, 1943 - He shot down a Bf. 109-G fighter. March 26, 1943 - He shot down a German Ju 52 transport aircraft over his native Belguim. May 14,1943 - He was the first to drop bombs from a Tyhoon fighter bomber. He also shot down a He III bomber while on his way back. July 30, 1943 - His next kill was a German Bf 109 fighter. October 5, 1943 - He shot down a German Ju 88 heavy fighter and destroyed another aircraft on the ground. November 30, 1943 - His final kill was a German Bf 110 fighter. December 22, 1943 - 2 months before he was assigned to the Central Gunnery School at RAF Sutton Bridge in Lincolnshire, he was promoted as a Flight Lieutenant. February 7, 1944 - He returned to RAF Manston in Kent. April 27, 1944 - Remy Van Lierde was posted to No. 3 Squadron RAF and flew Hawker Tempest Mk. V fighters. August 20, 1944 - He became the commanding officer of RAF No. 164 Squadron which had been tasked to combat the V-1 offensive. He was credited for destroying 44 of these V1 flying bombs (doodlebug). He was named as the second highest scorer for doodlebug kills. May 1945 - Remy Van Lierde became the commanding officer of the Belgian 7th Fighter Wing. December 1, 1950 - He worked with the 84 Group Support Unit. He was also assigned as he Belgian Liaison Officer to the Second Tactical Air Force Headquarters. January 1, 1968 - He retired from the Belgian Air Force. 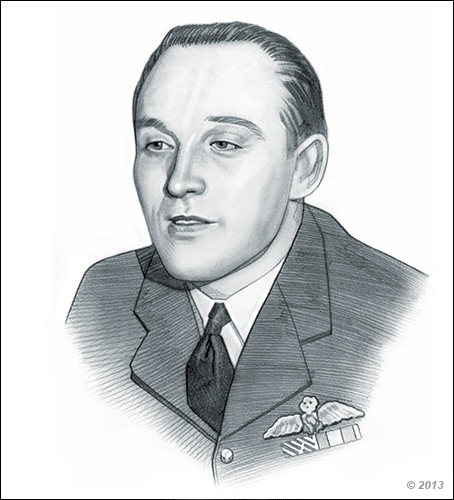 He was awarded Distinguished Flying Cross first while he was with the Royal Air Force on June 25, 1943. The second was on August 1944, this time a bar was added. The third one was awarded on June 1945 with the Royal Air Force Unit. A second bar was added since it was his third DFC award. Although famous as a fighter pilot he is also famous for his famous story about encountering a giant snake with a head 3 feet long and a body closer to 50 feet long is still being researched to determine if it could be true. He claimed that the snake was colored brown and green with a white under-belly. This picture of Remy Van Lierde is Copyright © June 2014 Siteseen Ltd. We only allow this picture to be used for printed non-commercial purposes and particularly encourage it's use for printed educational non-commercial purposes. This Remy Van Lierde picture is not in the Public Domain. 3) Use of this Remy Van Lierde picture, or any of our pictures on websites re-distributing copyright free material is strictly prohibited.